Komandoo Island Resort has all the main elements of Maldives' experience, including an excellent Spa - and guests do not need anything else. For guests over 18 years old - popular among European couples, this resort is 'adults only' - small, romantic, and a great value for money in the Maldives. The Komandoo's island main attractions include an infinity swimming pool on the beach, a vibrant house reef, delicious food, and lots of free bonuses. 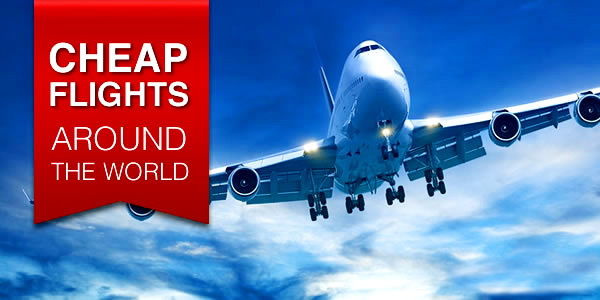 A great lack of the island is its remote location (45 minutes by seaplane from Male airport); however, it is significantly cheaper than competing resorts next to Malé. Visiting Komandoo and back way starts with an incredibly scenic, 45-minute flight by seaplane from Velana international airport. Upon arrival, guests are escorted down a jetty surrounded by aquamarine water, and staff welcomes each group with a drum-and-song routine in the lobby. Expect delicious coconut ice cream during your visit. 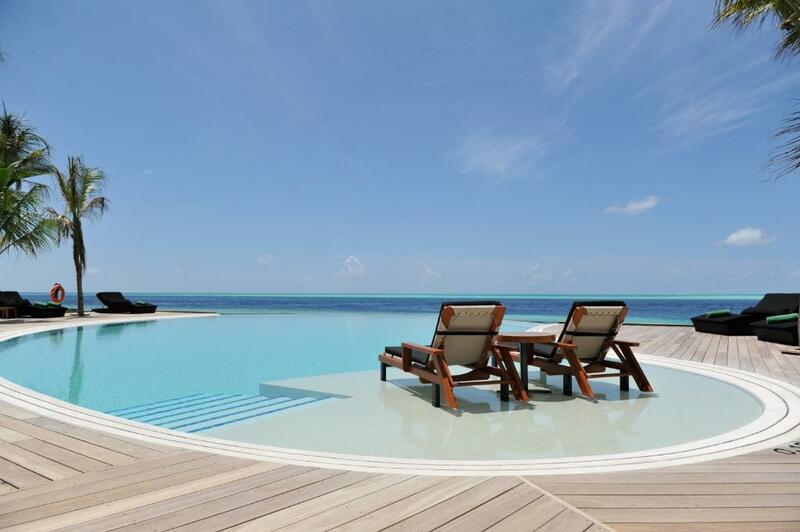 Ideal for a honeymoon, this 65-room boutique resort is one of the nicest Maldivian hotels. The floors in the hall, main restaurant and in the bar are sandy and most guests like to walk barefoot during their stay. Built in the early 2000s, most of the buildings on the island have high ceilings, and the roofs are covered with palm leaves or tiles. The best way to travel around the island is 500 meters long - by foot, along shady trails crawling like a moray eel through a lush jungle. Small, cozy and quiet, Komandoo rarely sees animation and large entertainment, but the atmosphere of tranquility has everything you need to mix and meet other guests and staff on the same wave. Except for weekly night discos, entertainment on Komandoo is very low-key. Often guests like to gather in a bar, sharing impressions and underwater videos taken by local divers, then live music can follow. 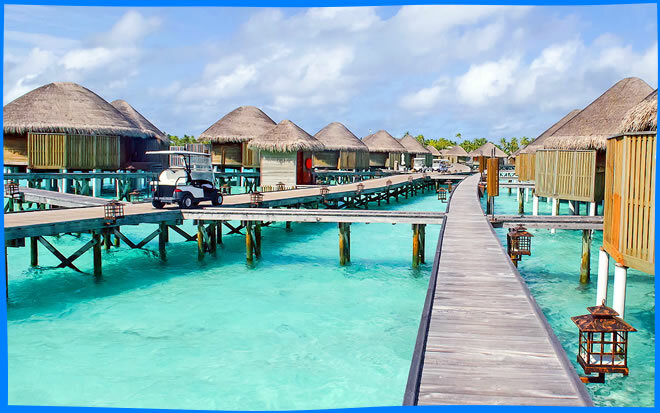 Set in a stunning lagoon, this pretty island is comfortable and natural. There are no children, the staff are excellent, and there’s a quiet yet friendly atmosphere. The result is that many guests return year after year. Typical clientele are European middle-aged couples (mostly Swiss, Germans and English) who are interested in lazy sunbaths by the pool, a serene beach vacation and enjoying the impressive, Komandoo's haute couture cuisine. Komandoo Island Resort is located on its own private island, roughly 100 miles north of the capital of Male, in Lhavyani Atoll. Komandoo is one of 9 resorts inhabiting this atoll formed by 54 islands. After arriving at Velana International Airport the guests are escorted to the resort's own lounge, followed by a 45-minute scenic trip by seaplane to Komandoo. The size of the island: 100 meters wide and 500 meters long, and here you can easily navigate on foot. All the year round, 150 people work and live on the island. The 65 rooms are basically the same. Komandoo offers three categories of accommodation: 14 Beach Villas, 36 Beach Villas with Jacuzzi and 15 Water Villas with Jacuzzi - from 62 to 77 square meters. The main difference (except the jacuzzi) is where the villas look: to the north-east or south-west. The wide south-western beach is illuminated by the sun all day, but the rooms on the other beach can boast more privacy, as the vegetation goes further down and the water rises closer to the villas. After lunch, the sun leaves the northeast, but on the turquoise horizon, sunlit drifted 2 beautiful uninhabited islands. On the other hand (west) the view is shaded by the inhabited Hinnavaru Island. To prevent erosion, Komandoo Island is protected from all strata by a low wall in the lagoon, which spoils the whole picture a little, but disappears from view during the high tide. All rooms have a flat-screen TV, a stereo system with a CD player and an iPod docking station, an electric kettle with tea and coffee, a minibar, bathrobes, free Wi-Fi and bottled water, and a Nespresso coffee machine (at an additional cost excluding Water Villas with Jacuzzi). The rooms have a large four-poster bed (and in many respects unnecessary), and an mosquito net. Wooden floors, high wooden ceilings, and a private patio. Beach Villas with Jacuzzi also have additional open bathrooms with a hot tub and sun loungers, and Jacuzzi Water Villas feature a jacuzzi and a DVD player. Beach villas have direct access to the sand, while Water Villas with Jacuzzis are equipped with steps to the lagoon for snorkeling. Placed on wooden stilts with stunning Indian Ocean's views these villas provide a luxurious and romantic setting for your stay in a tropical paradise. Much newer, the Water Villas are in perfect order and their bathrooms are more capacious than those in beach villas, are already starting to show their age. A large, partially covered wooden veranda with a steps down to the water gives you your own piece of utopia. The tranquility of the lagoon is an ideal place, which makes these villas perfect for a romantic honeymoon. The beaches stretch almost along the entire perimeter of the island, and this is wonderful. Villas have direct access to soft sand, with the exception of a couple in one corner, where the steps go right into the water. Built from Finnish pine with unassuming matte black and dark brown furniture, the interiors painfully resemble Scandinavia. They are warm, but full of light. The TV is big, and sideways to the bed. There is a music system for iPod, a Nespresso coffee machine and free bottles of water. Romantic Jacuzzi Beach Villas are located just a few steps from the lagoon. All these spacious cocoons stand on the first line of the beautiful white sandy beach that surrounds the tropical island along the entire perimeter. 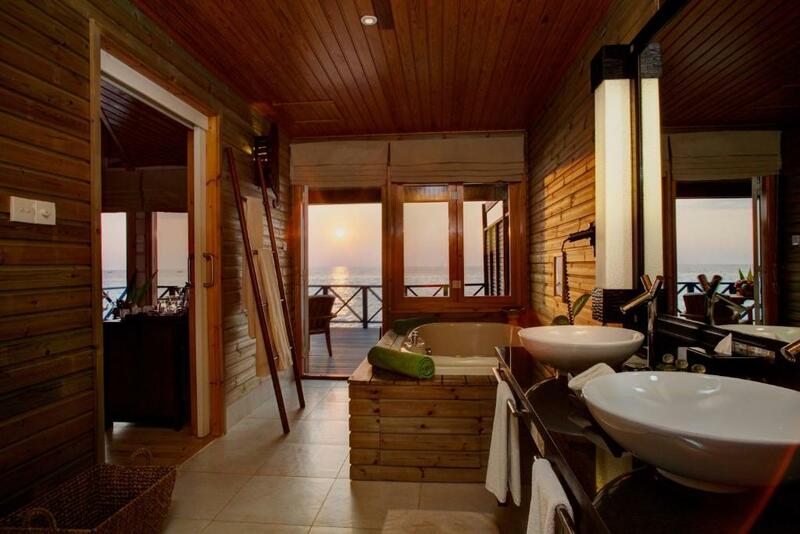 Enjoy a spacious bathroom with outdoor terrace and jacuzzi to experience the true Maldives experience. There is a shady wooden veranda with furniture and sun loungers on the beach. The proximity to the beach and the feature of accommodation make them an ideal option for a honeymoon. Private life in Beach Villages is very good, thanks to the dense and high wall of vegetation between the buildings. In the above-water villas for this purpose, use wooden screens, hiding the neighboring decks. 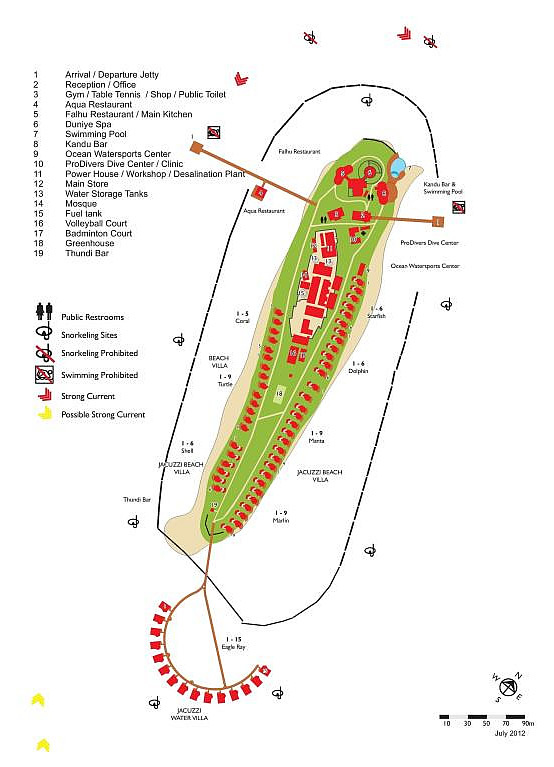 For dining, you’ll find a range of meal plans available, from Full Board to All Inclusive Gold. The buffet in Komandoo's main restaurant will seem to you one of the best, at least that you have tasted in the Maldives. 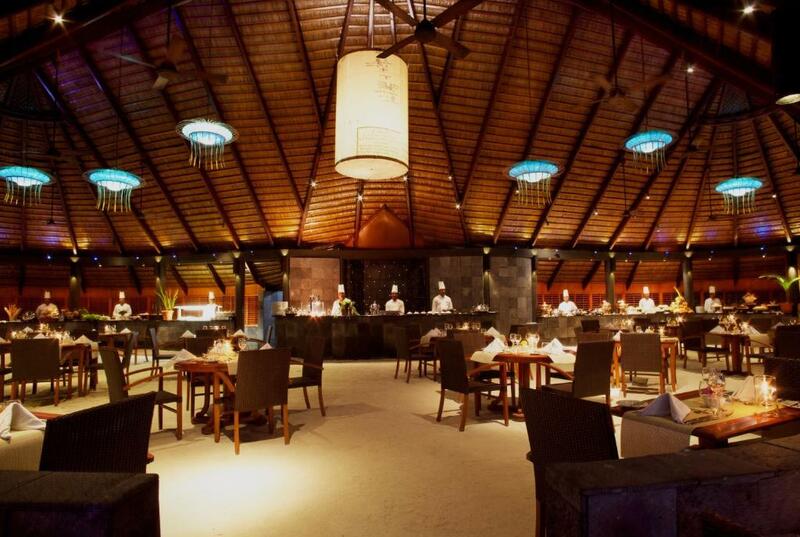 With a sand-floored, Falhu restaurant serves an international buffet with the slogan "all you can eat" (imagine unlimited servings of sashimi, cooked pasta and delicious desserts among other dishes) for breakfast, lunch and dinner. Feasting can be both outside and inside with separate tables for each room. A delicious breakfast is free, and guests can always choose one of two "ALL INCLUSIVE" packages that offer a solid selection of alcoholic beverages (including drinks in the mini bar), but there are no freshly squeezed juices. Falhu restaurant at its best also looks in the evening. Here, the chef is the second master, describing the dishes, tickling the appetites and setting the tone of friendliness. Generous food is very tasty and varied, and cooked with great talent. The furnishings are perfect: a sandy floor, lighted tables, a high thatched roof, low coral walls and a wooden deck overlooking the lagoon. The only drawback is the local Hinnavaru island and it is perfectly visible (and calls for prayer are heard). For lunch and breakfast here - just fine, not excellent. The new gourmet restaurant, Aqua was built on the main jetty and serves a la carte menu with popular international dishes, as well as meat fare and seafood at an additional cost (advance booking is recommended). The plates and their contents are so beautiful that you are embarrassed to start. The chef regularly goes out to guest to get to know tastes and preferences. Between the dishes, on your table unexpectedly appear amis-bush, such as mango sherbet. 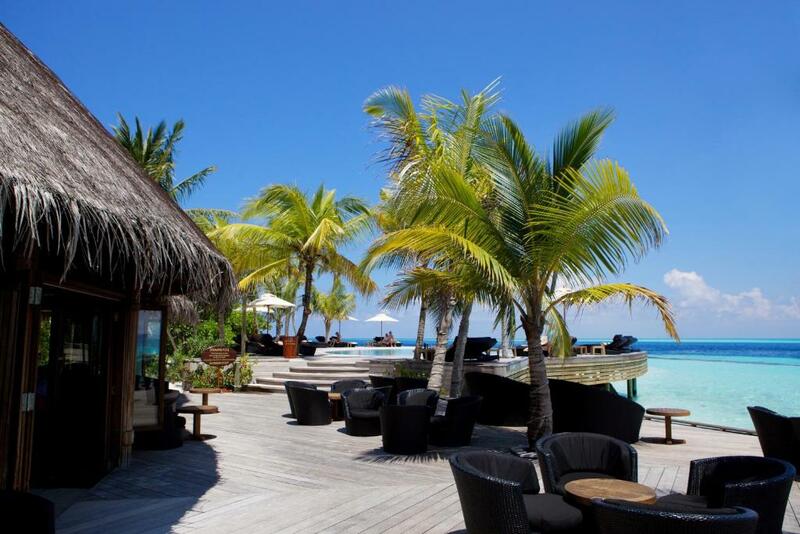 Two bars: The Kandu near the pool with excellent views of the lagoon and sports TV; another bar is Thundi on the beach with a list of your favorite drinks. The bar has all the necessary components for a long, fun night, with an atmosphere of ease and fellowship, created by a low landing, friendly and hospitality of the staff who are real masters here. Snacks are available at the main bar next to the pool, and the resort has 24-hour room service. Snorkeling around Komandoo is excellent as the island is ideally sited in a channel. Although the reef edge slopes away rather than drops off and is not among the best for coral, it is a magnet for a wide range of creatures. One marine biologist from Hamburg counted 265 species without ever going for a dive . Manta rays, eagle rays and dolphins are frequent visitors to the reef as they pass on into the atoll. The dive school positively encourages snorkeling, with equipment, lessons and trips out to the nearby wrecks, thilas and caves (on the housereef). The pleasant and supportive base leaders believe if you come to the Maldives you have to put your head under the water and if one partner is into diving then snorkeling is a fine way for the other partner to pass the time and start to understand the obsession. For such a small island, Komandoo has a wide range of offerings and facilities. The main reasons to leave your villa include: a solid fitness center, a tennis / badminton / volleyball court, a souvenir shop, deep sea fishing, a diving center, and a lovely Duniye Spa that offers all the pleasures of massage and rituals for two to holistic sessions and facial care - rounds off the possibilities and here it is, the perfect place to do very little. Other activities include ping-pong, board games, a jewelry shop, crab racings, a public computer, and a small multilingual library. The pearl of the resort is a beautiful beachside infinity swimming pool with food and drinks on the edges. Freshwater pond has a chic design and is surrounded by soft sun loungers and sun beds; The pool really looks as if it comes straight out of the turquoise lagoon. As befits a place, there are no boards pushing excursions, entertainment or special dinners, although all the usual programs take place in the list of the water sports center. The most unusual is a tour combining a visit to the capital of the atoll, Naifaru, with the largest tuna processing/canning plant in the country, Felivaru. Most popular is the weekly trip on the sailing cruiser ‘Britt’. And most private is a launch to Kudadu, a beautiful desert island with excellent snorkeling. Up to 4 people can go, but is usually just one couple alone. Komandoo offers a lot of freebies, including a 30-minute snorkel lesson, a 30-minute photo shoot, and a one-hour sunset cruise on a traditional dhoni boat. The resort also hosts free sushi master classes, fruit carving, and the crafts of the Maldives. Kayaks, windsurfing, catamarans and snorkelling equipment can be rented (or for free if All Inclusive). Free Wi-Fi in the rooms, bars and lobby. The weekly entertainment program includes live music, cultural presentations, DJs and dance shows. For many Komandoo is one of the islands that offers the perfect marriage of modern and natural, the great hideaway with serene environment for an ideal relax. Komandoo Island Resort gets mostly positive reviews, particularly the more recent ones. In years past there was an issue with construction on a nearby island, but that seems to have been completed since no one has mentioned it in a long time. 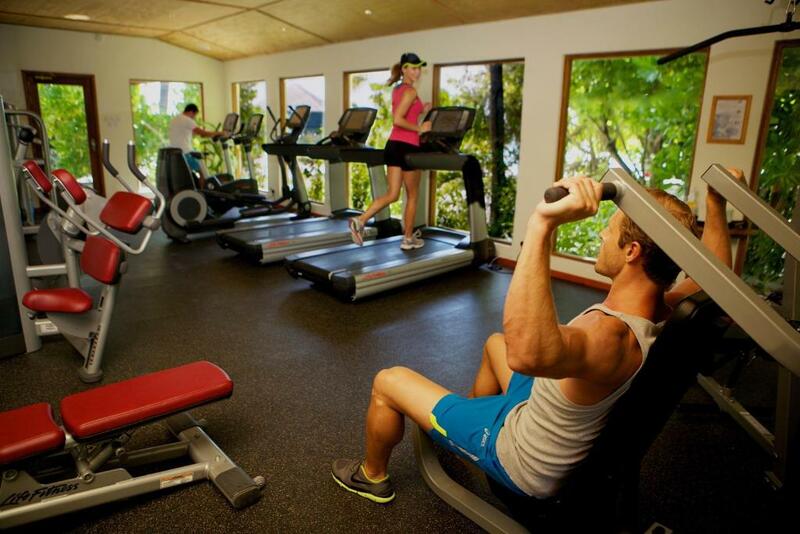 Generally, guests are very impressed by the service and how intimate the island feels having only 65 rooms. Many guests seem to come back every year, and quite a few reviews say this is the best resort they've ever stayed in. Considering that this is one of the more affordable resorts with Jacuzzi water villas, the reviews are surprisingly strong and should give you confidence to book as long as you appreciate the overall features. Another thing to keep in mind is that many guests state that they felt as if they were the only people at the resort, which is a big plus for those looking for a more peaceful and secluded vacation. Komandoo Island Resort is located on private island in Lhaviyani Atoll is 45-minutes fby seaplane from Male airport. One of the few adult only resorts in the Maldives. For children over 18 years! Complimentary continental breakfast; there are half board packages, full board and 2 types of "all inclusive"